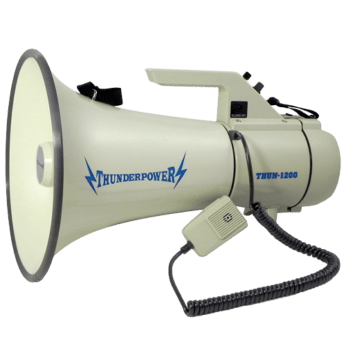 ThunderPower Megaphones – The Loudest, Most Durable Megaphones in the World! 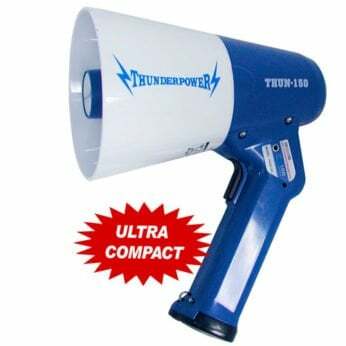 Your only real choice for large outdoor events and crowd control. 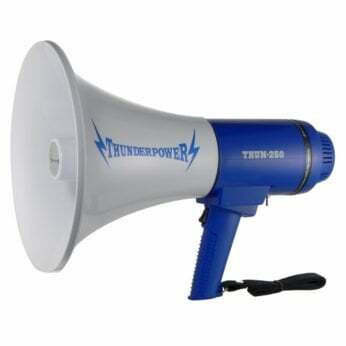 The Loudest, Most Durable Megaphones in the World! ThunderPower Megaphones has earned a reputation for quality, power and offers the best megaphones for sale on the market. Whether you are ordering 1 or 100, most orders ship the same day! We stand by our product. If you ever need help you can call us and someone will answer your call right away, you will never get stuck on hold or get voicemail. 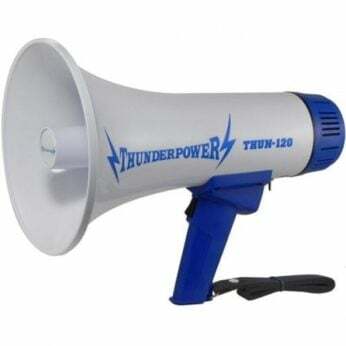 All megaphones come with a one-year warranty. All warranty work is handled completely in-house. 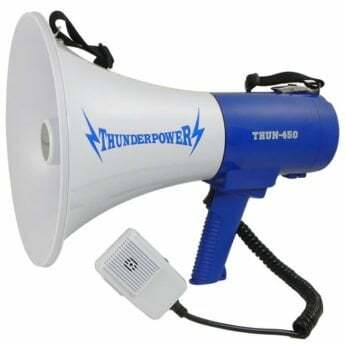 When you buy from ThunderPower Megaphones you are getting the highest quality megaphone available. When you place an order you will receive an immediate confirmation email and when your order ships you will receive the tracking number immediately.